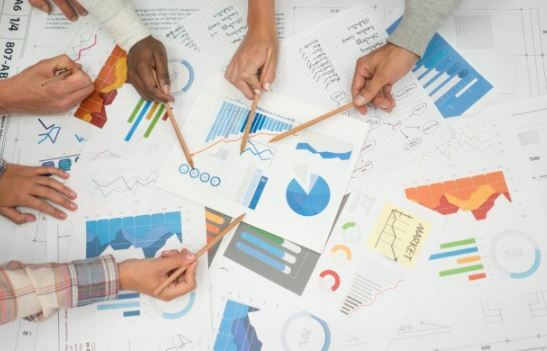 Self-service data analytics software means that you do not have to take statistics courses or be an experienced data analyst to analyze data related to your business. Vendors pushed for software that is user-friendly, and now they have it. In 2017, we will see more small businesses opt for self-service data analytics software to access and analyze data so that they can react to customer patterns in near-real time. Online and offline data integration is used to combine a business’s data in one place. This means data from the cloud and on-premises as well as legacy systems can be merged to give business owners a single view of their circumstances. This single view allows owners to make better decisions about how to promote and run their companies. Predictive data analytics allow business owners to predict what their customers will need in the future. Rather than assume that what has worked in the past will continue to work in the future, predictive data analytics takes the data and analyzes it to determine the likelihood of future events and customer behavior. Prescriptive data analytics take predictive data analytics one step further: it analyzes different decisions the user could make in terms of the outcome and how that outcome relates to the user’s goal. This allows the user to adjust their plan before putting it into effect, potentially saving time, money, and embarrassment. One expert expects nearly 40% of businesses will use prescriptive data analytics by 2020. The Internet of Things (IoT) provides enormous amounts of data. As consumers become more and more connected, we will see more reliance upon IoT data. Businesses can use this data to customize their dealings with each and every customer. The cloud is gaining more popularity as the world becomes more connected. Using the cloud allows users to amalgamate all of their data in one space, and most cloud service vendors provide big data processing and analytics alongside storage. We will see many businesses move to the cloud in 2017 as the initial users have proven the reliability and strengths of the cloud. Business owners will begin to use embedded analytics within business software or apps. Embedded analytics gives users faster access to data analytics as the user does not need to go through an external data analytics agency. Data monetization is the ability to generate revenue from trading or selling data. As data becomes one of the hottest commodities, companies focusing on the packaging or disseminating data will be swimming in opportunities. Streaming analytics allows users to get real-time data analytics. Users can use the information to make immediate changes and watch the effects live. GPS devices already use this type of analytics to tell the user about traffic flow. Tools for analyzing unstructured data (e.g., PowerPoints, videos, social media) are improving thanks to data visualization tools and machine learning. We can expect to see companies analyze more unstructured data in 2017 than they possibly could have in 2016. Overall, a lot is happening in the world of data analytics, and we can expect big things from vendors hoping to make data analytics easier for the average Joe.